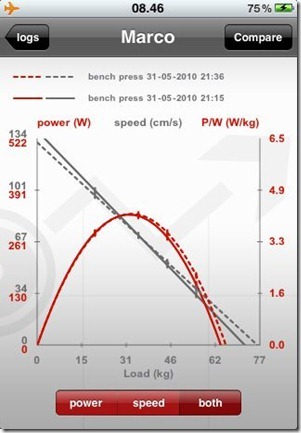 I have just received a link to a new promising application developed for iPhone/iPod touch capable of using the accelerometer housed in the smartphone to be able applied to barbells for strength testing and for monitoring strength training. The application is called LIZA and is available here. A lot more info are also available in real time and as summary feedback to be stored and to be sent via email. A video of how it works is available here. 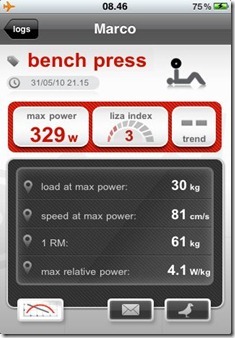 It seems a very promising tool for personal trainers as well as for Strength and Conditioning coaches. 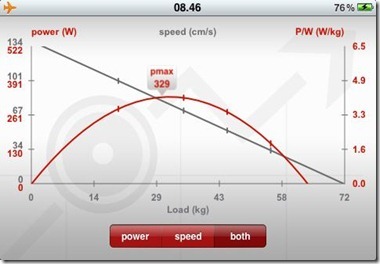 At the moment there is no information available on the validity and reliability of the power calculations and on the accuracy of the using the accelerometer housed in the iPhone/iTouch. I am sure soon we will see some validation papers on this tool considering the fact that the University of Udine is involved in its development. 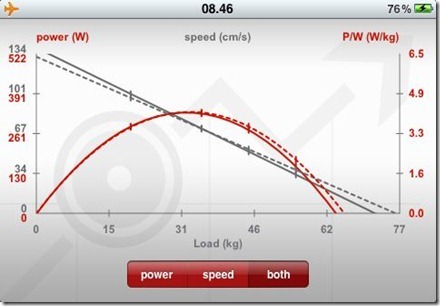 Also, 1RM is estimated from the load/velocity relationship. Liza offers also a lite version. According to the website, the lite version allows to perform the half squat test, to view the resulting data and send them via email or twitter just like the standard version; it is not possible to get any graphic representation nor save any data. The lite version displays some advertising banners. I don’t use iPhone/iTouch, so I suggest the readers to download this application and decide for themselves if it is something worth having. Considering the cost and the fact that you don’t need any extra device, I suggest this is something worthwhile trying for any professional interested in measuring the outcome of strength training programmes.